I was watching “Smash” on NBC tonight. For whatever reason, I dig that show. And this show is in so many ways about the forbidden fruit and the attempt (though not so successful for so many of the characters) to deny themselves what they are so longing for. The show is a tangled mess of interrelationships during the creation of a Broadway musical, “Bombshell” centered around the life of Marilyn Monroe. 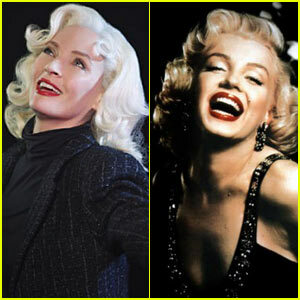 Uma Thurman is cast as the “lead” on stage as Marilyn and I just have to say “Why??? ?” I’m not sure of the casting choice exactly, but she plays the movie star come Broadway star wannabe well. However when I think of Marilyn, I don’t think of a 41 year old woman and on the close up shots of Uma, I see too many fine lines, which I never saw with Norma Jean. Call me cynical, but really? Marilyn died at 36 and I don’t think she looked it, but that’s just me. So I guess I’ll just have to tune in next week for the next to the last of the Season 1 episode and see if Ivy has screwed up with Karen’s boyfriend (pun intended) and hope that Julia doesn’t lose what’s left of her marbles when she runs into her old flame. And does Rebecca Duvall steal Derek’s heart. Heck… does Derek even have a heart? Forget those daytime soaps folks…. we have a “Smash” on our hands.